The LG 6.5KG fully automatic washing machine is a looker. This top load washing machine from LG features an elegant design and a classy finish. The smart access pad on the top along with the clear glass panel gives this washing machine a very premium finish. The best LG washing machine in India features reliability, value for money, and elegant design; the LG 6.5KG top load fully automatic washing machine has all of these, hence making a good buying option. From the technology standpoint, this LG washing machine features a stainless steel drum with 7 to 12 intelligent wash modes to accommodate all your apparel in your laundry. This is one of the best in the LG washing machine price list. 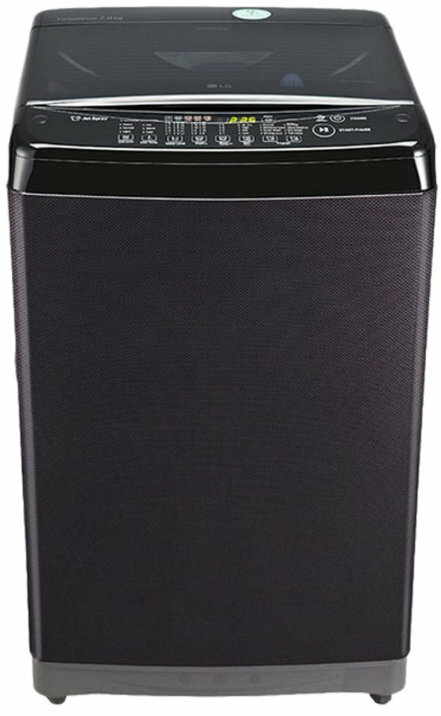 LG T7577TEELK 6.5Kg Fully Automatic Washing Machine full specs and reviews as of Apr 2019. Buy it here!